Eye Allergies are a very common cause of eye issues, and sometimes those issues grow serious enough to make normal vision practically impossible. Fortunately, Henry Oishi, OD, at Eye Appeal Optometry is here to help you manage your symptoms in the most effective way possible. If you’re dealing with itchy, red, and watery eyes due to allergies, book your appointment online at the Temecula, California, practice or call now for help. If you've got allergies, your allergic eye symptoms can combine with your sneezing, sniffling, and other symptoms to make you feel pretty miserable. Why do allergic eye symptoms happen? The majority of allergens that cause allergic eye symptoms are either environmental or chemical, and they're usually airborne. However, food allergies such as peanut allergies can cause problems like swollen eyelids. What can I do about eye allergies? Keep track of your allergy triggers to see if you can isolate the specific thing causing your eye symptoms. Whenever possible, avoid these triggers. When your eyes are watery, red, irritated, and generally feeling awful, wearing contact is one of the worst things you can do. Switching to your eyeglasses for a while can give your eyes a much-needed break. If you just don't want to give your contact lenses up, even for a while, Dr. Oishi may recommend a switch to daily disposable lenses. When you throw the lenses away every night, there's no chance for allergens to build up on the lenses and cause eye problems the next day. Dr. Oishi may recommend either over-the-counter or prescription medication to help control your eye symptoms. Antihistamines are often particularly helpful in this situation. Eye drops, either over-the-counter or prescription, can alleviate soreness, soothe redness, and help restore healthy tear film. 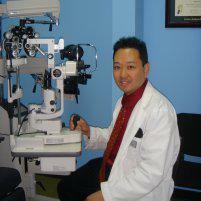 Dr. Oishi can recommend specific eyedrops for your eye symptoms. Your eye allergy treatment is customized for your specific needs at Eye Appeal Optometry. Schedule your appointment now, either online or over the phone.